Congratulations to senior Carlos Vasquez who will be attending Pacific University in Oregon this Fall. Congratulations to 2015 graduate Jacob Alvarado who just received All Mid-South Conference Academic honors, a Mid South Conference Gold Glove Award, and First Team All Conference honors while playing baseball this year at the University of Pikeville in Kentucky. He was one of my favorite players to capture on camera in baseball and football because he played with so much passion. Here is a flashback to 2015. 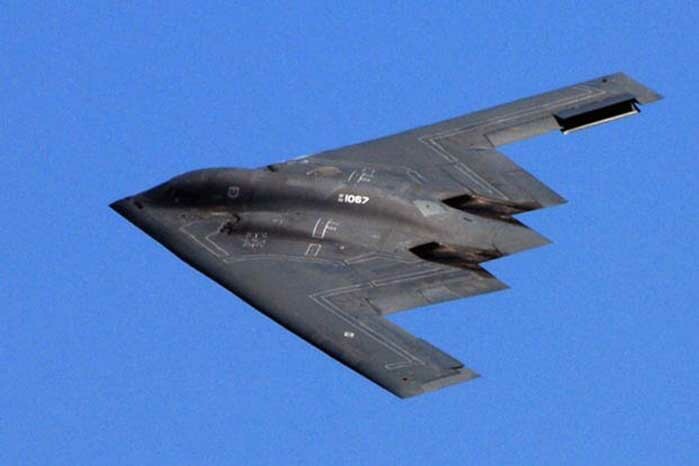 Jordan Tencati, a 2011 varsity baseball player and grad, has been assigned by the US Air Force to be a B-2 Stealth Bomber Pilot. Jordan was a catcher and utility player for the Bulldogs and one of the nicest guys to ever put on a bulldog uniform. Congratulations Jordan! View the article that mentions Cody as a player to watch on the rise in the Pittsburgh farm system HERE. On Saturday, Kevin Saenz (Class of 2016) hit a two out, two strike 3 run homer to give Sac City College an extra inning victory over Diablo Valley. John has checked in and told me that as of June 12th he has signed a pro contract with the Windy City Thunderbolts. It is in the Frontier League of the Independent Leagues. John's bio on their roster. Robbie Jackman a 2010 graduate of Tracy High and baseball player with Tracy High on the Freshman, Sophomore, and Varsity squads passed away Saturday, August 26. A memorial service was held on September 1. Tribute HERE. 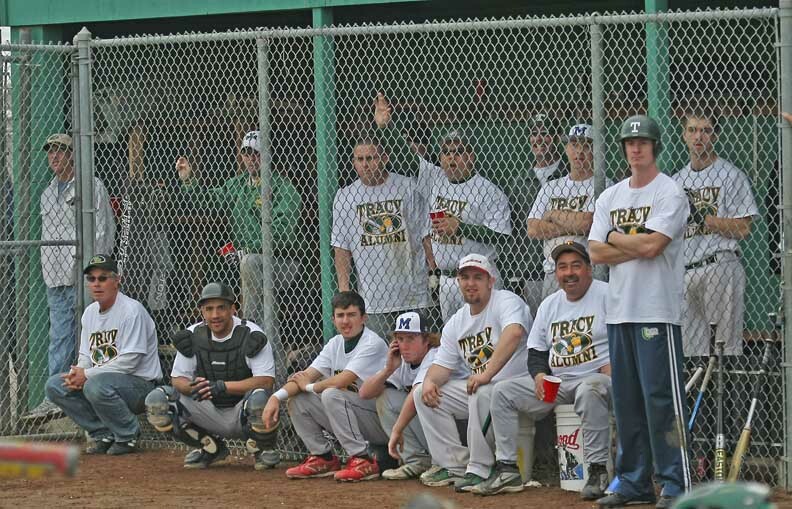 When the City College of San Francisco took on Ohone College of Fremont on Tuesday, it brought together a few recent graduates of the THS Baseball program. Photo courtesy of Robert Garcia. According to his twitter account, Steven Ramos will end his run with the St. Louis Cardinals minor league system and start a new chapter in his life. Ramos was the MVP of the SJAA and 2008 graduate of Tracy High. He spent two years at Ohlone Junior College and won a state championship title and then got a baseball scholarship to Cal State Fullerton at the same time as he got drafted by the Cardinals. He spent approximately four plus years in the minor league system with the Cardinals. SPECIAL REPORT BY COACH ALKIRE: WHAT HAPPENED TO THE HOMERUNS? Coach Alkire woke up this morning with a lot of time on his hands. There was no practice or game to get ready for. So he took the time to research something that had been on his mind lately. What happened to all the homeruns? Oscar Moreno hit one last night and Jonah Wesely hit one a few weeks back. But that is it for 2013. It was not that long ago that the Dogs were cranking out 22 a year. An interesting report on this is in this attached 2 page article. Congratulations to a really good guy who was a varsity baseball player in 2010 and 2011. Jordan Tencati went to San Diego State University this year to pursue the ROTC program. He has just been awarded a full ride scholarship to pursue 4.5 more years of Mechanical Engineering. He plans on being a pilot in the U.S. Air Force. "IT WAS THE GREATEST FEELING IN MY LIFE!" When Steven Ramos got the call from the Area Scout of the St. Louis Cardinals Tuesday afternoon, he described it as the greatest feeling of his life. "It took my breath away," said Steven a 2008 graduate of Tracy High and the SJAA MVP of 2008. "I was with my Mom this afternoon when the call came in, and I had gotten indications something was going to happen in the next 5 rounds." It happened almost immediately after he got off the phone with one of the other scouts who had put him on notice to watch the draft board. In the days leading up to the draft, Steven had gotten several calls from the Cardinals wanting to know his plans for college and whether he would consider going directly to major league baseball. When I asked him this evening whether he was going to take the signing offer or go to Fullerton, he said "I just don't know yet, I have a lot to evaluate. Both my Fullerton coach and the St. Louis Cardinals are going to be contacting me later this week to discuss this further. One thing they both told me to do today was to enjoy this moment. I am," said an enthusiastic Ramos." Today's 9th annual Alumni Game was filled with a lot of action, excitement, fun, and pride. The Alumni squad gave the varsity a run for their money through most of the game and at one point drew the game close 9-8. Eventually the varsity pulled ahead but the Alumni left everything on the field and felt good about the effort they had put forth during the scrimmage. Our website has plenty of pictures, interviews, and video to share over the next several hours. Keep checking back for updates.